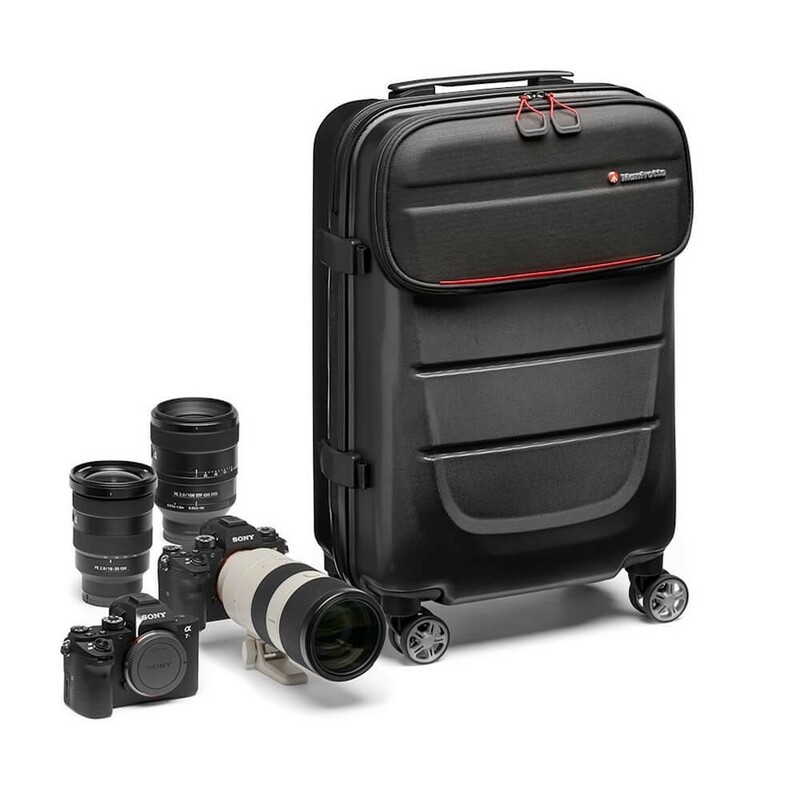 The Pro Light Reloader Spin-55 camera roller bag for DSLRs and premium CSCs is designed for professional travelling photographers. 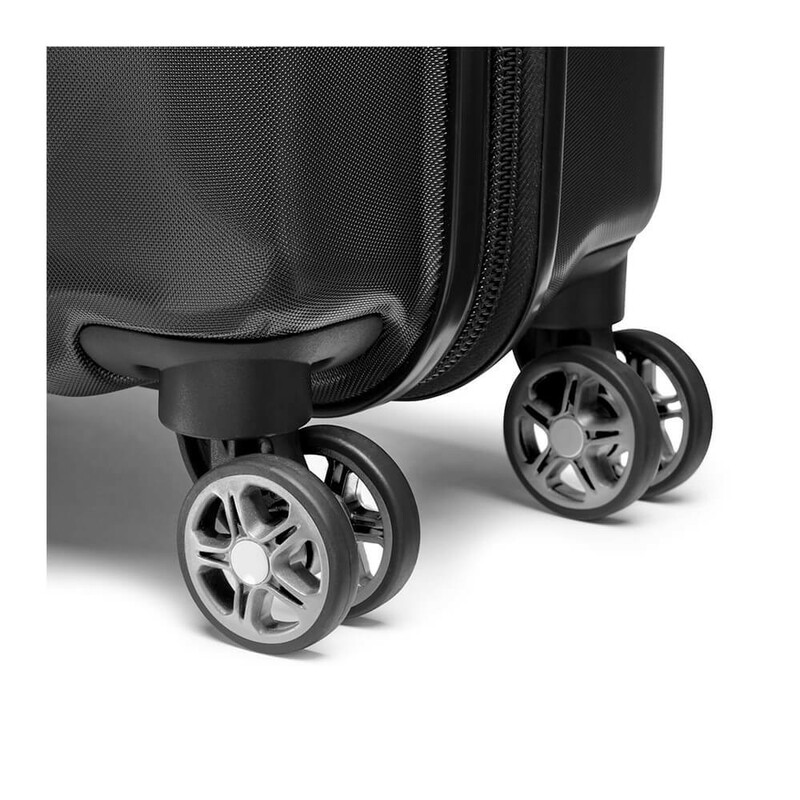 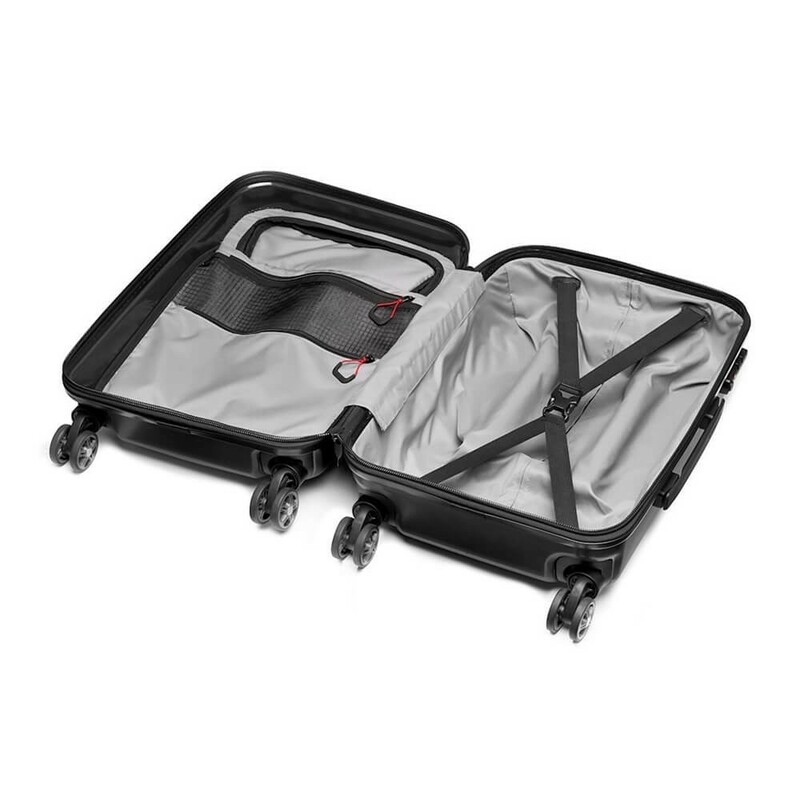 Manufactured and designed specifically for travellers and it fits international carry-on sizes. 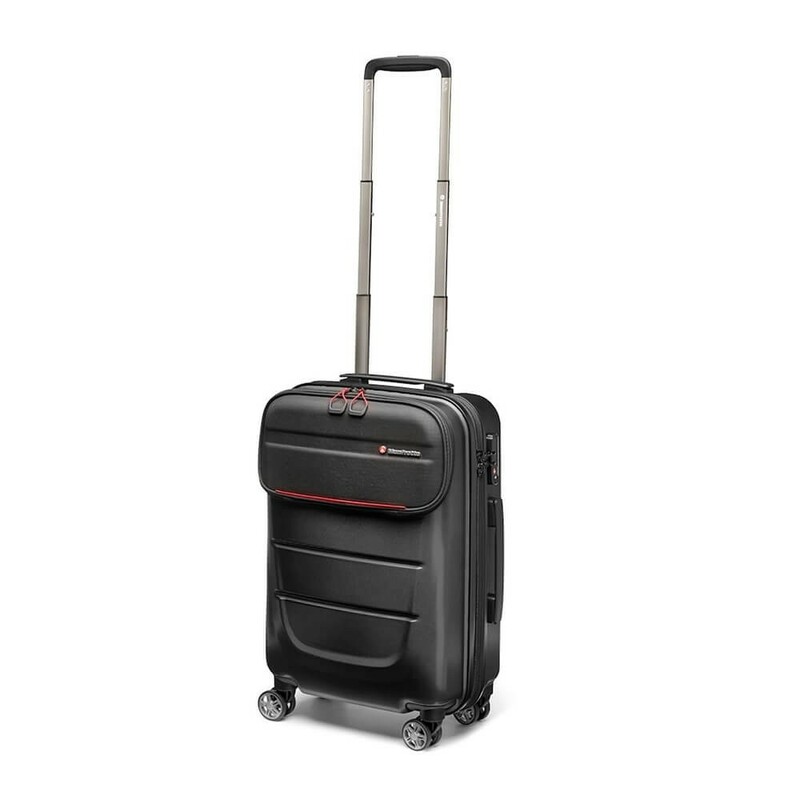 This Pro Light roller bag is the hard side trolley of the collection: externally, it is made of polycarbonate material and internally of EVA moulded tray to ensure it is lightweight and protected. 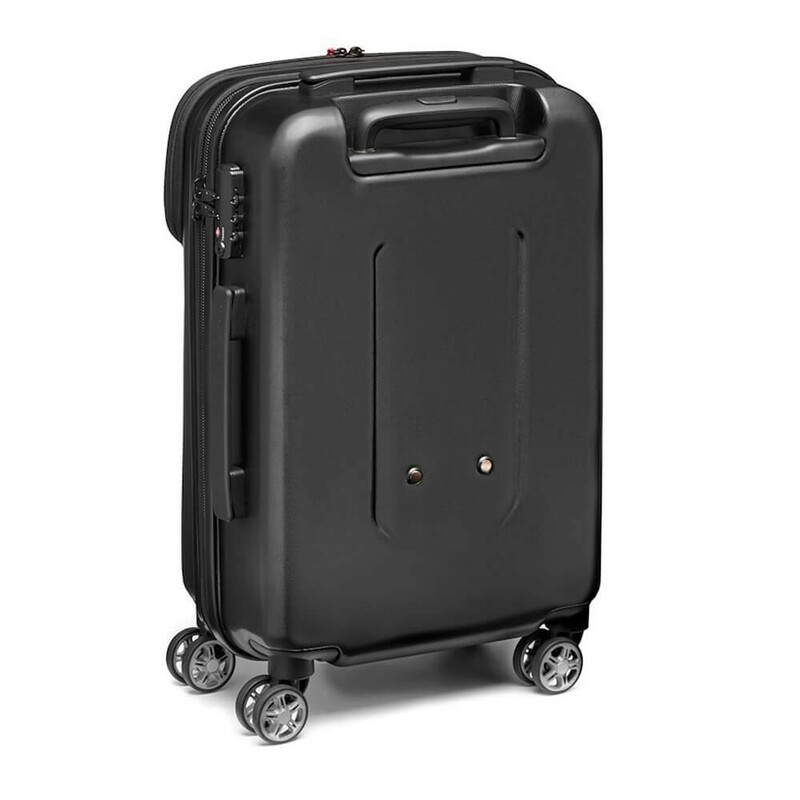 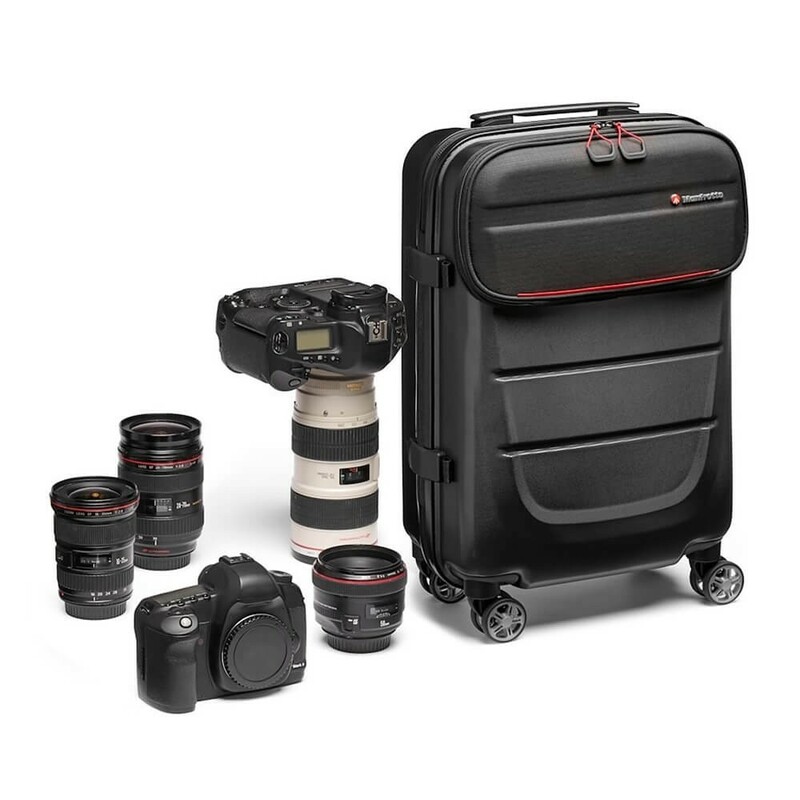 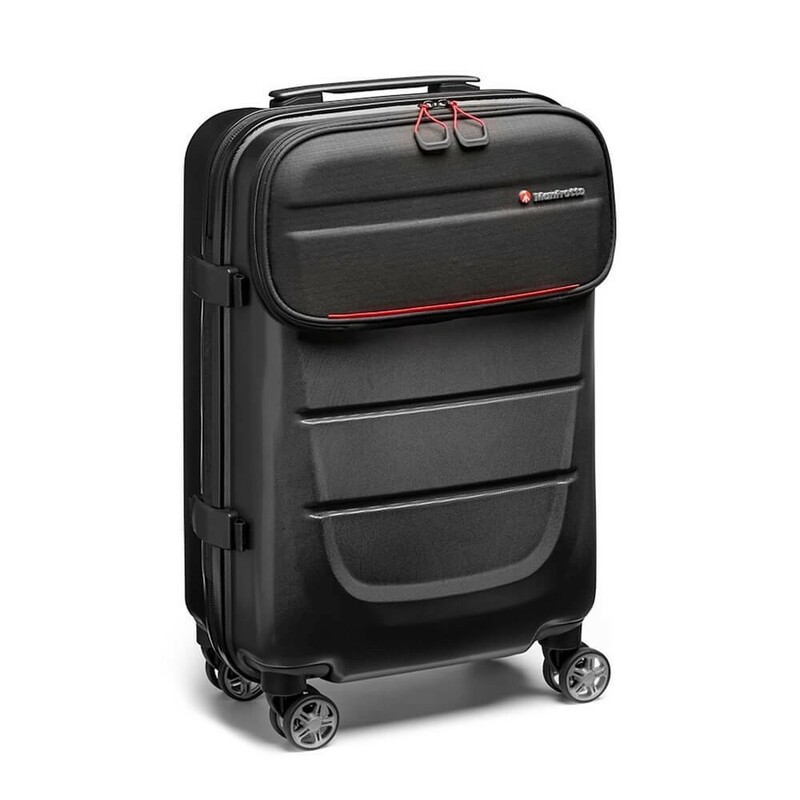 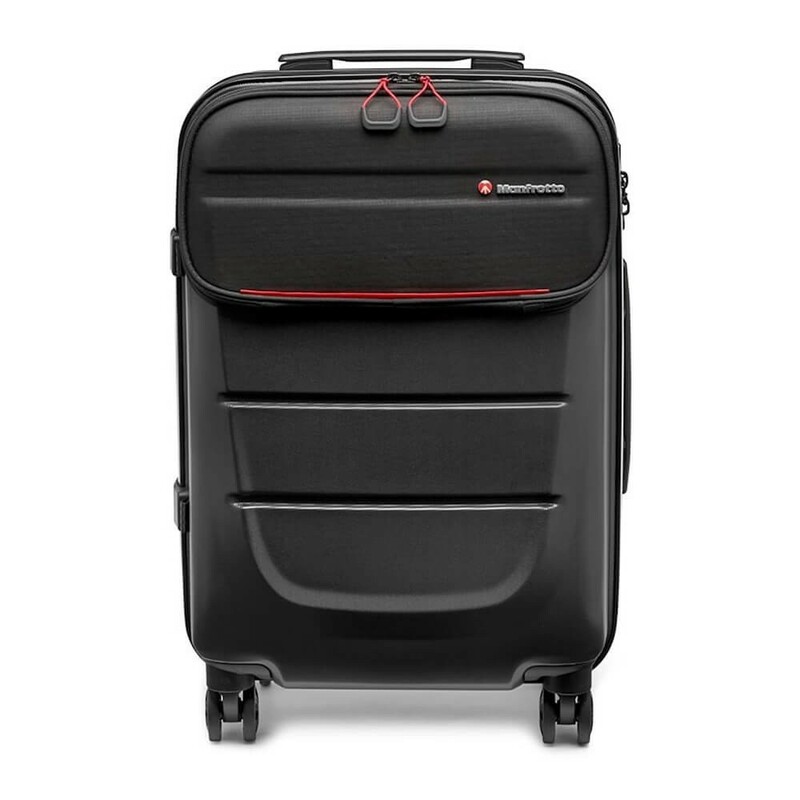 It features 4 spinner double wheels to help carry heavy gear and a front fast access for 15” laptop, accessories or a secondary access for photo gear. 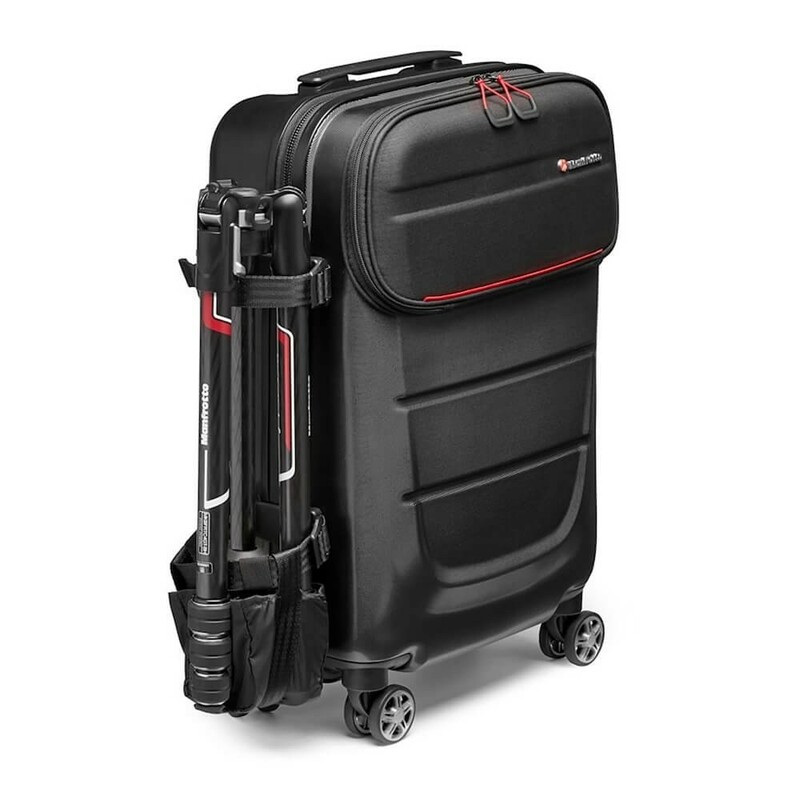 This roller bag comes with an internal organised pouch with CPS dividers for maximum flexibility of internal configuration that can be used as photo compartment or removed to use the Spin-55 as normal travel luggage. 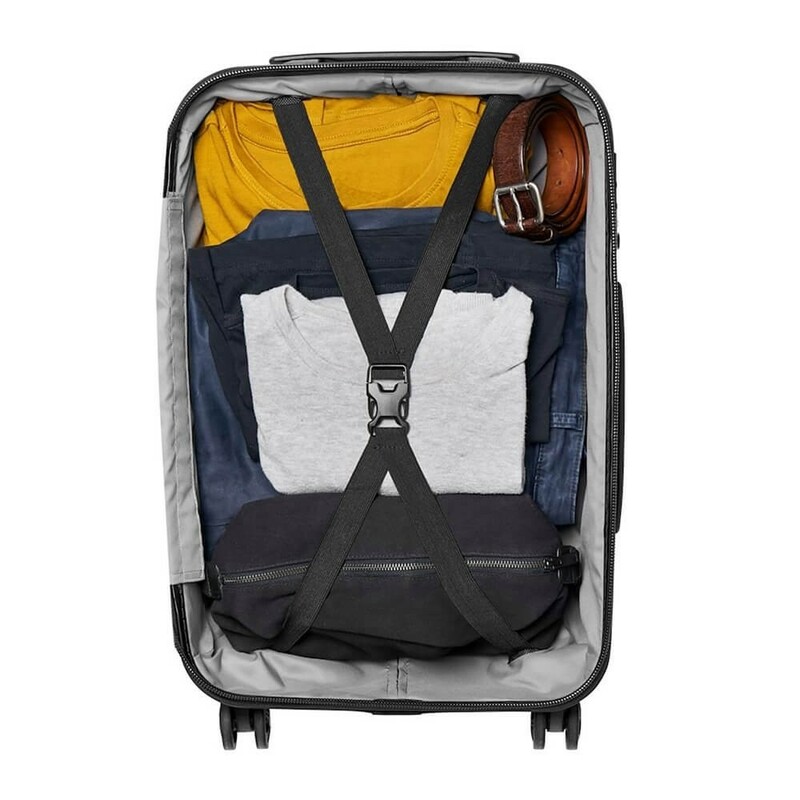 It is equipped with inner cross ribbons to hold personal items when using it as an everyday suitcase. 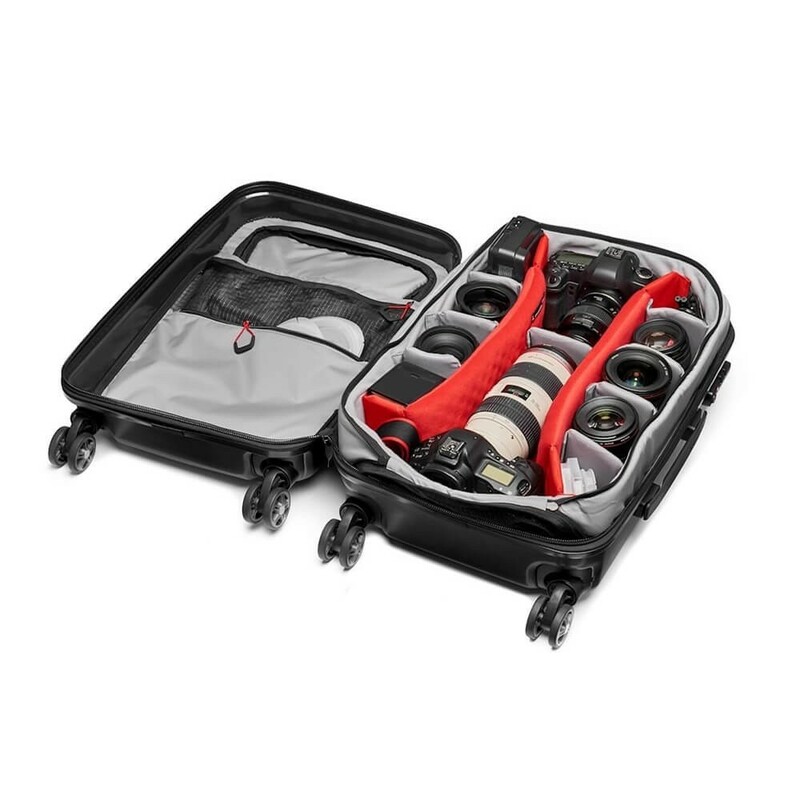 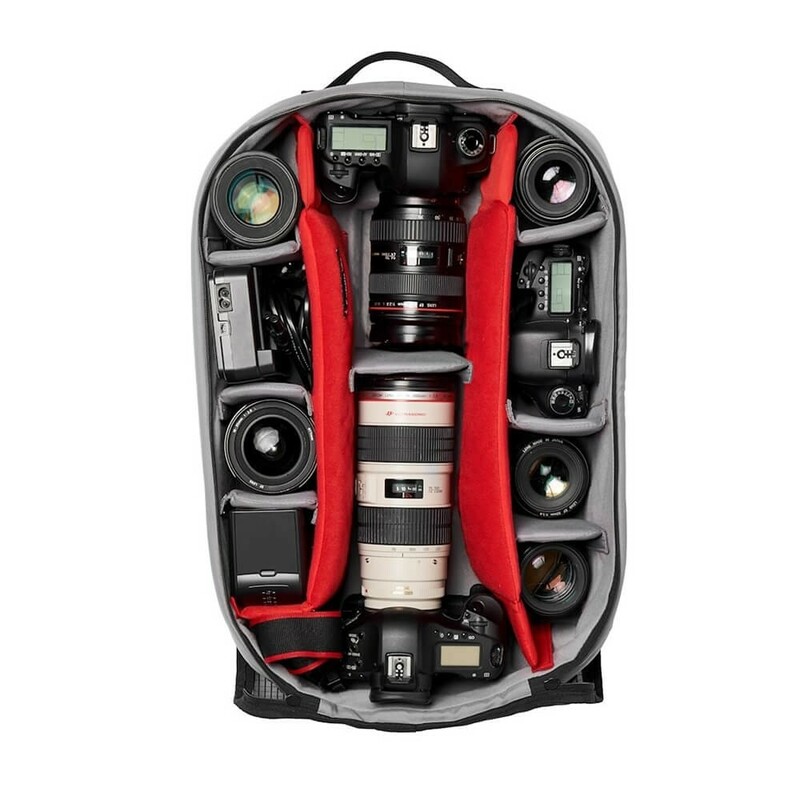 This roller bag can accommodate not only your DSLR attached with a 70/200mm lens, a second DSLR body and up to 3-4 lenses as well as being able to comfortably fit a premium CSC and additional lenses and a DJI Mavic pro combo kit. 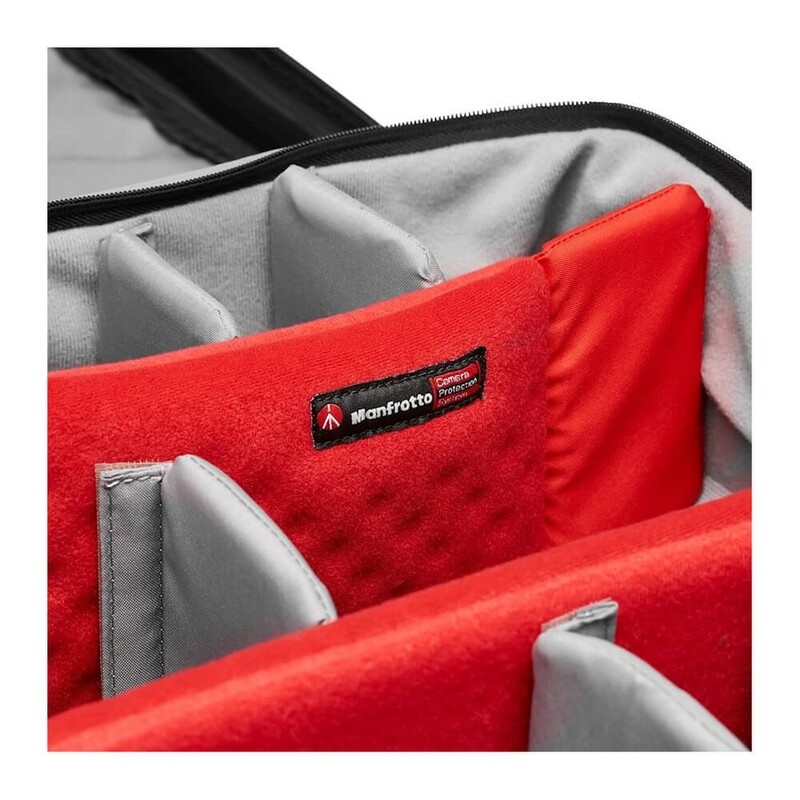 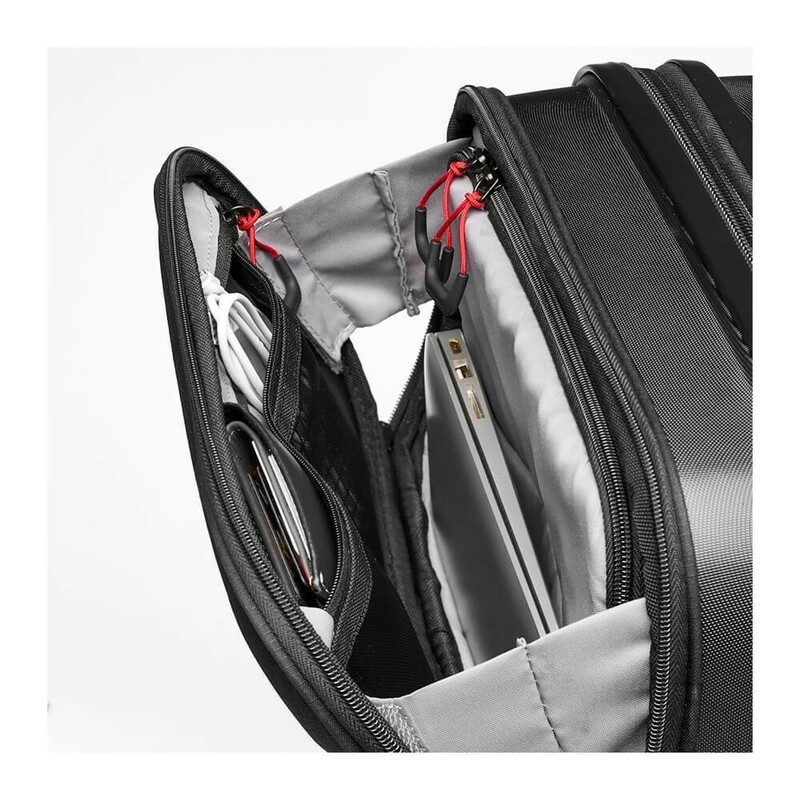 You can tailor the bag to fit your own equipment, with 12 protective dividers and 2 CPS internal dividers that can be easily adjusted depending what you’ve got going on that day. 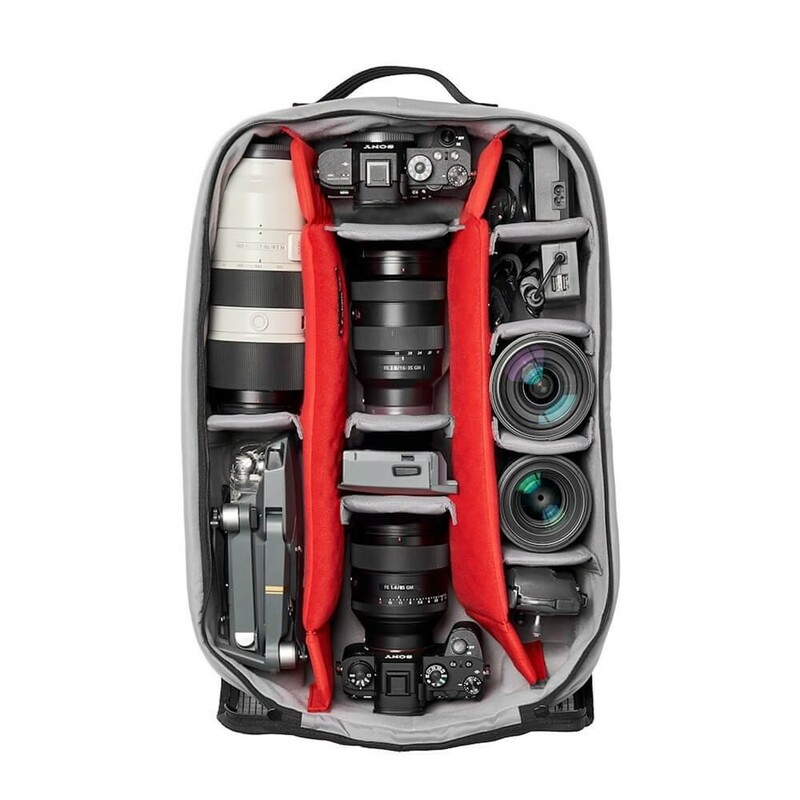 In addition, it is equipped with 2 internal panel see-through pockets for organisation of all small camera accessories, cable, memory cards, etc.